You may remember my blog post about my Quorn Sausage, Vegetable and Bean Cobbler last month, adapted from the Netmums Feeding Kids recipe book. After blogging about this recipe, NetMums added my recipe to their website and sent me a copy of the Feeding Kids recipe book - which I have decided to giveaway to one lucky person. 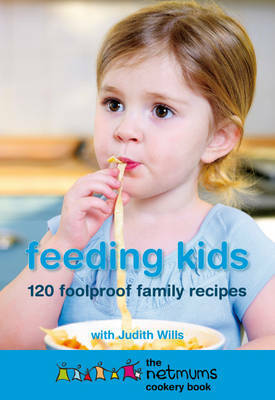 The Feeding Kids recipe book is an essential resource for anyone cooking for kids. It features over 100 recipes, ideas for lunch boxes and a meal planner for cooking with kids. 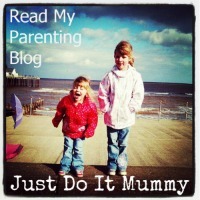 All of the recipes were submitted by Mums and so are tried and tested on the best panel of all - Kids!! My kids love the meals in this book and have never refused a dish I have made using a Netmums recipe. The competition is open until Saturday 9th of July and the winner will be picked using an online randomiser. Feel free to enter the competition as many ways as you would like, but please leave a seperate comment for each entry.